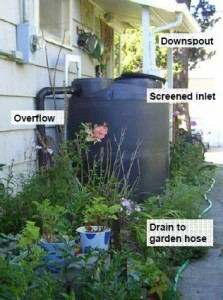 By now, most of us probably have a rain barrel or two that we use to catch rainwater from our roof. These red 50-gallon barrels have become common features around Seattle, Burien, Normandy Park and other cities, especially because you can get them at a nice reasonable price and they’re easy to set up. We currently have three of them at our house, and we’re able to use the water that we catch to irrigate our trees, container plants and lots more. But as many of you know, the barrels fill up quickly during a rain event. So what to do if you want to harvest more rainwater? Enter the cistern. These larger containers can store hundreds or even thousands of gallons of water at a time, which conserve water and improve drainage issues at your property. Think: no more soggy lawn always getting flooded with inches of water when it rains! Because cisterns hold water during a rain, storm or snow event, less water rushes into our streets, drains and sewer systems. That means fewer sewer overflow problems and fewer pollutants washing unfiltered into our creeks, rivers and Puget Sound. Cisterns aren’t much different from rain barrels. They’re just much larger. Home cisterns can capture anywhere from 200 to 1,000 gallons of water. 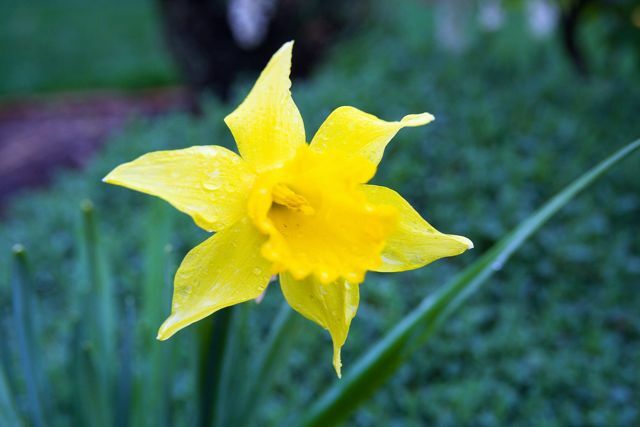 They can look attractive, too, and blend in with your landscape. Unlike rain barrels, cisterns require a bit more planning and installation. Because they’re considerably larger than rain barrels — and will be heavier because of all the water they’ll hold — you’ll need a good foundation for it. 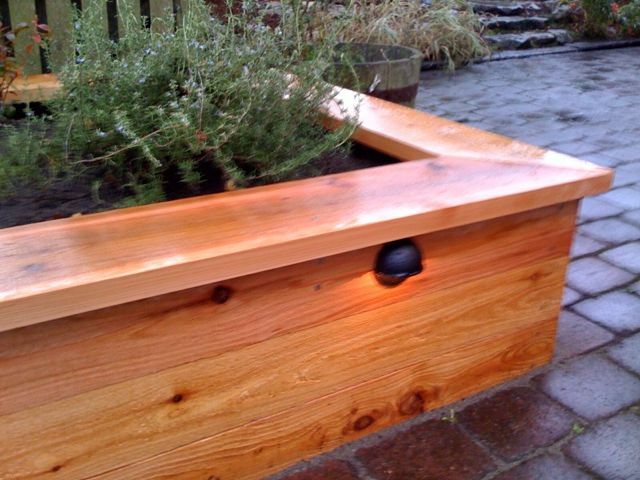 Ecoyards is a licensed contractor registered with the city of Seattle RainWise program. We’re also licensed by the state, of course, but this program registration allows us to install cisterns, or rain gardens, at certain homes that are eligible for city rebates under the RainWise program. 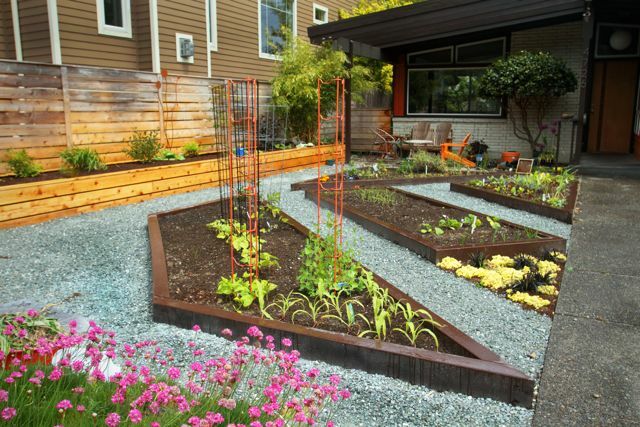 (Read more about the rebate program for rain gardens in our previous post). Whether or not you’re eligible for a rebate, we’re happy to help you sort out all the details. If you’re interested in installing a cistern but don’t want to tackle it yourself, we can help you calculate how much rainwater can be harvested off your roof and then recommend a good size, shape and foundation for it. We’ll figure it all out for you, from pipes and connectors to the right Northwest native plants for your site. Cisterns can be made of many materials, such as plastic, sheet metal, wood or even concrete. You can install them underground, partially underground or above ground. (Check out this slideshow to get an idea for what some large-scale cisterns look like). 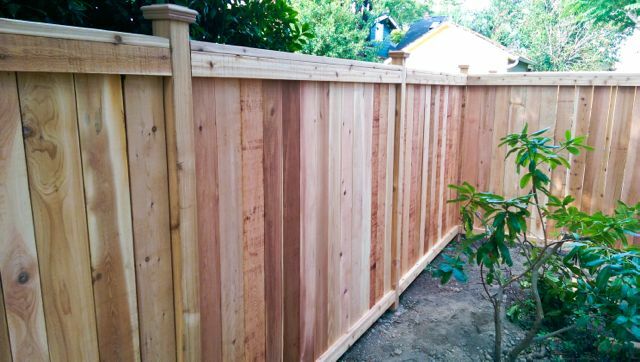 For those who are in the Ballard neighborhood, and eligible for a city rebate, we also can help you navigate the rules and requirements. Give us a call at 206-770-7879 or email us and we’ll help you figure it out.